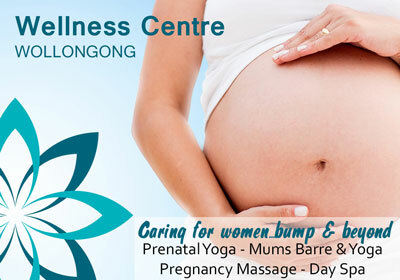 At the Wellness Centre Wollongong, we care for women at every stage of life, and understand that mums and mums-to-be are vital to society, and sometimes struggle to get a little “me” time. We have classes and services to help you meet your health and fitness goals at this special time of your life. Our prenatal yoga classes are designed to prepare women for childbirth and motherhood. The classes are designed to prepare you mentally, physically and emotionally towards natural birth. You will gain confidence, learn how to tap into your natural abilities and bond with your unborn baby. As well as being led in traditional yoga poses, participants learn breathing, relaxation, visualisation and vocalisation techniques to help prepare for the magnificent journey of birth and motherhood. Our instructor, Elizabeth, is a mother herself, a highly trained yoga and pilates instructor and certified in prenatal exercise. **While our classes are tailored to the needs of the individual, please seek the advice of a health professional before undertaking a new exercise program. Pre and post natal women should also seek the advice of their doctor or midwife before beginning exercise. Our Mums’ Barre clas ses are suitable for pregnant mums in their second and third trimesters, and then from six weeks after giving birth. These Mums' classes are suitable for all fitness levels, as our instructors, Miriam & Elizabeth provide alternatives and options to suit women with bumps, babies, and beyond. Children of all ages are welcome in the class. Mums can wear their babies in a carrier, or have them close by on the floor or bring a rocker. Toys, snacks and electronic devices can be brought to entertain older children. **While our classes are tailored to the needs of the individual, please seek the advice of a health professional before undertaking a new exercise program. 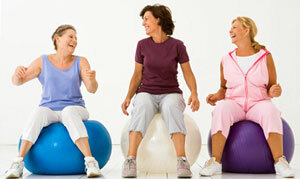 Pre and post natal women should also seek the advice of their doctor or midwife before beginning exercise. A brief free consultation with Elizabeth is required for all new pregnant students. 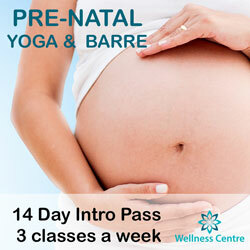 Special Offer 1 For those new to the Wellness Centre, purchase an Introductory Casual Pass for only $10 to either a Prenatal Yoga/Pilates class or a Mums Barre class. 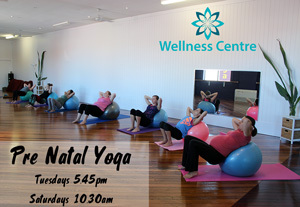 This pass must be securely purchased & booked online via the free Wellness Centre Wollongong App. HERE. Or the Wellness Centre site Apply promotion code INTRO42 at checkout. Cancellation conditions apply. Places subject to availability. Offer valid until 31st March 2019. Special Offer 2 for mums new to the Wellness Centre's Studio Classes! 15% Discount - Buy a 10 class pass** online for only $153 (normally $180) . Apply promotion code MUMS#1 at checkout. Offer valid until 31st March 2019. Your experienced female massage therapist will use safe, gentle techniques aimed at relaxing and unwinding tightness and tension in those muscles with comforting background music. * You will need to fill out a "Pregnancy Massage Client Intake Form" prior to your massage advising the practitioner of any pregnancy related issues and make sure there are no contra-indications present. Please contact the Wellness Centre on 02 42263777 to arrange this before your first massage session.